Once you have created some employer liabilitity categories (The tutorial can be found in Creating and Managing Employer Liability Categories), you can begin assigning these liabilities to employees as recurring employer liabilities, which will take effect every pay run. 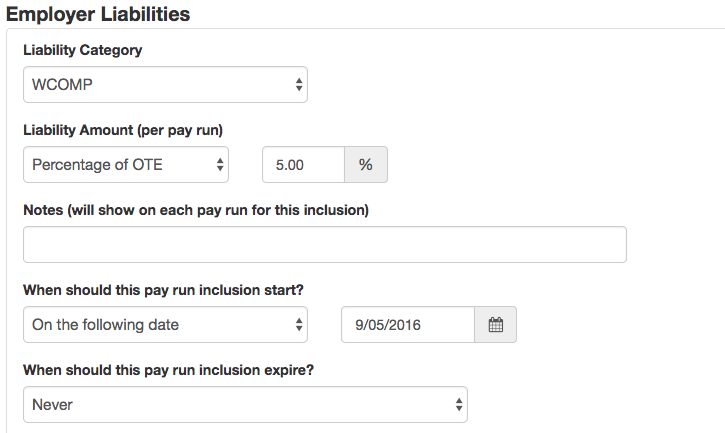 To begin, go to the Employees tab on the payroll dashboard and once you have chosen an employee, click the Pay Run Inclusions tab in the 'Pay Run Settings' section on the left hand side of the screen. Enter the date the liability is to commence. Choose when this liability should cease (a specific end date, never or once a particular dollar amount has been reached). Now, the next time you create a pay run that includes this employee, the employer liability will be automatically added. If you wish to edit a recurring employer liability after it has been created, click on its name in the list of employer liabilities that has been assigned to this employee. You'll be able to edit any details of that liability (apart from the liability category). 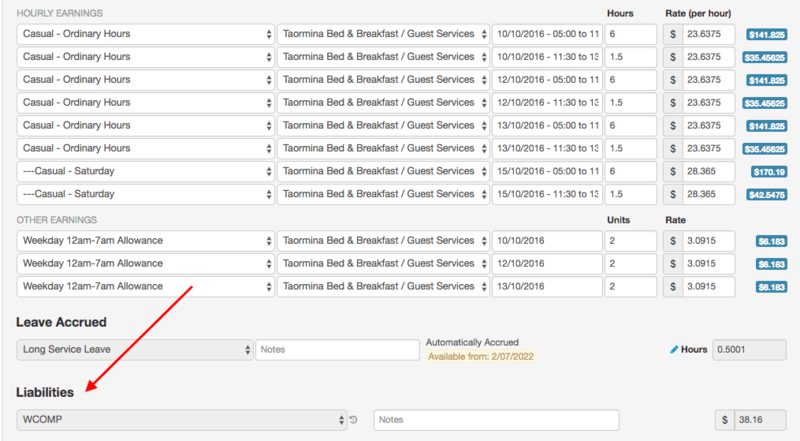 If you wish to delete a recurring liability, click the red X on the right hand side of its entry.